FDA analysis has found these products to be tainted with Sildenafil and Tadalafil. 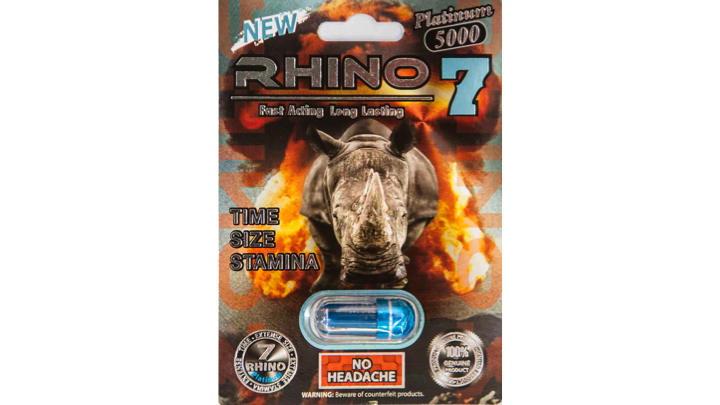 Newark, CA, Gadget Island, Inc. is voluntarily recalling Rhino 7 Platinum 5000 capsules, All LOTS, Papa Zen 3300 capsules, LOT# NSS050888, Fifty Shades 6000 capsules, all Lots, Grande X 5800 capsules, all Lots, to the consumer level. FDA analysis has found the products to be tainted with Sildenafil and Tadalafil, which are the active ingredients in two FDA-approved prescription drugs used for the treatment of erectile dysfunction (ED), as well as Desmethyl Carbodenafil which is structurally similar to sildenafil. The presence of Sildenafil, Tadalafil and or Desmethyl Carbodenafil in Rhino 7 Platinum 5000, Papa Zen 3300, Fifty Shades 6000, and Grande X 5800, renders them unapproved drugs for which safety and efficacy have not been established and, therefore, subject to recall.